Wheat Roller Mill is High capacity grinding with pneumatic locking roll clearance adjustment. Mechanical sensor and servo feeding. Advanced double wedge and tooth-wedge belt driving system ensures noiseless and smooth working condition.Uniform feed rate by adopting extruded aluminum feeding inlet. 1. Technology in cleaning part:	 One screen, one scour, one destoner, One washer One damper. 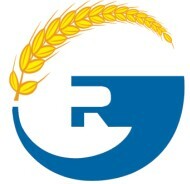 3.Production capacity:	 100 tons of wheat/24H. 4. Used under:	 Voltage: 380V, Frequency:50HZ, below an elevation of 1000m. 7.Installation expenses:	 This service is the charged service, Which includes installation, test running, and training local operators. This complete equipment requires two technicians for guiding installation. The buyer should provide for technicians return tickets, local food and boarding, transportation, medical insurance, and the salary of 2100 USD per man per month. The buyer should directly pay technicians the salary. Looking for ideal Wheat Roller Mill Manufacturer & supplier ? We have a wide selection at great prices to help you get creative. All the Flour Roller Mill are quality guaranteed. We are China Origin Factory of Roller Flour Mill. If you have any question, please feel free to contact us.